This paper is extremely useful in identifying the significant management problems that this complex cohort of patients presents . These problems are well illustrated by case histories of three patients with varying symptoms and very different natural histories, with a common diagnosis of thoracolumbar kyphosis in association with achondroplasia. Patients present with thoracolumbar gibbus and/or neurological symptoms. The decision of operative technique is difficult. It is important to differentiate those patients with a localized neural compression, caused predominantly by the deformity as opposed to those with a multi-level stenosis in association with a mild-moderate kyphosis, as management will be quite different. Laminectomy (without stabilization) has a significant risk of progressive kyphotic deformity. Patients treated by laminectomy and short-segment pedicle screw fixation are at risk of proximal junctional kyphosis. 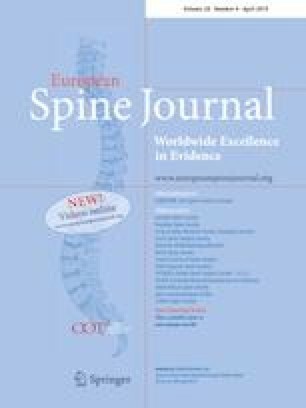 With a combined anterior and posterior reconstruction, there are also a risk of overcorrection of a naturally kyphotic spine and again the risk of proximal junctional kyphosis. This paper emphasizes the need for a collaborative assessment of treated achondroplastic patients, in an attempt to establish some definitive guidelines for the future management of such patients. It is my experience that surgery should be limited to those patients with progressive deformity and/or significant neurological symptoms. The resolution of kyphosis in case 3 highlights the lack of knowledge regarding prognosis in this condition and demonstrates the importance of long-term follow-up of such patients. A collation of such patients would be extremely useful to help identify why the condition should follow a relatively benign course in a small cohort of patients.